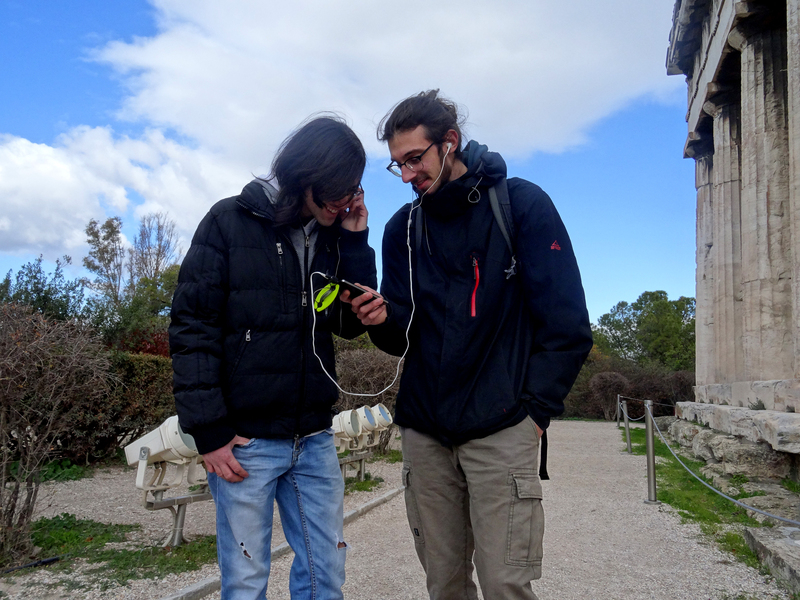 The first iteration of the first EMOTIVE stories was released and tested in December at the archeological site of the Ancient Agora in Athens, Greece. The stories, composed by archeologist- storytellers Ms. Katerina Servi and Mr. Francesco Ripanti, aim at involving the visitors of the Ancient Agora in an emotional travel to the past. Well known archaeological sites like the Ancient Agora have a high dramatic potential that can help to humanize what is difficult to understand. The focus of this first formative evaluation was to test the usability of the prototype; the understanding of the stories; and the potential of the stories in striking an emotional chord. Seven users of different ages experienced two sample stories, and the main overarching story, using mobile phones. Overall, the participants enjoyed the experience, especially walking in the Agora and listening to the stories in situ. Stay tuned for the 999 more stories left to go!